A fracture to the shoulder blade is known as a scapula fracture. 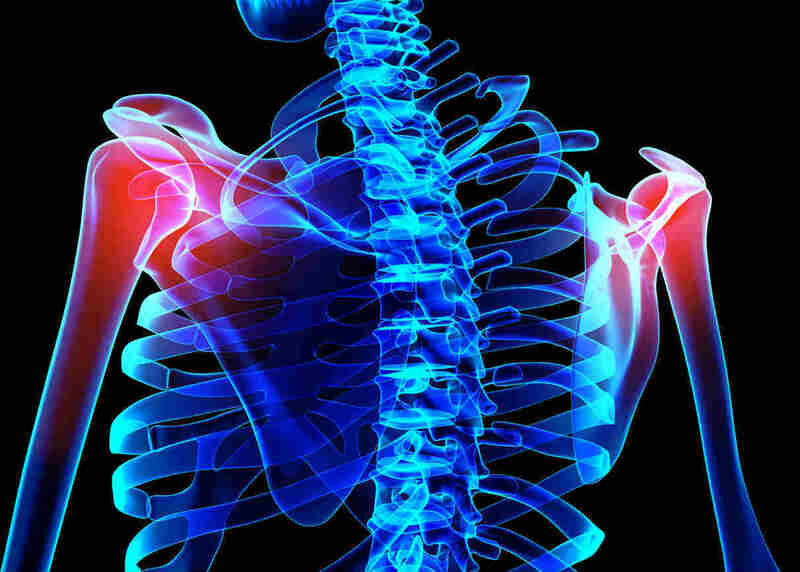 The shoulder blade or scapula is sturdy and is well protected by the back and the body, so it cannot easily break. However, when a person is subject to considerable blunt force trauma, there is a chance of a scapular fracture. A scapular fracture may also be accompanied by serious chest trauma. The scapula assists in the movements of the shoulder and the arm. As we said, it is a strong structure that is protected by the back and the body, so it takes considerable amount of force to break it. What causes a scapula fracture? There are various car accident scenarios that can lead to a scapula fracture. In a head on crash, the steering wheel could impact the driver’s chest, and place a significant amount of force on the rib cage. This force can travel through the rib cage and cause the scapula to break. Wearing the seat belt properly can prevent these types of injuries. Another scenario in which a person can sustain a scapula fracture is when they ejected from the vehicle in a crash and land on their back. The first step in the treatment is to immobilize the injury and pain relief. After a few weeks, the patient may start physical therapy to help restore flexibility and mobility of the affected site. Some fractures, particularly the ones that are displaced, may require surgery followed by rehabilitation. The most common complications associated with a scapula fracture involve bleeding or infection risks that occur if the fracture is open and there is damage to the blood vessels. When a scapula fracture becomes displaced, it can lead to nerve damage. One of the nerves that can get damaged is the long thoracic nerve, which is responsible for powering the serratus anterior, which in turn helps control the scapula. When this muscle is disabled, it can lead to a winged scapula, causing it to stick out from the back. A scapula fracture can also cause damage to the brachial plexus, the bundle of nerves that sits under the upper arm. Most scapula fractures that are not displaced head on their own with minimal medical intervention. However, the displaced fractures have to be treated with surgery, which can prolong the recovery time. Also, if there are any complications associated with the injury, or there is any damage to the surrounding nerves, it will necessitate more extensive treatment, and the recovery period will be longer. Scapula fractures can be extremely painful and may take a long term to heal. The treatment costs could be high, particularly if the fracture is serious. If your injury is a result of another driver’s negligence, you may have a claim. Discuss your legal options with an experienced St. Louis auto accident attorney at The Hoffmann Law Firm, L.L.C. Call us 24/7 at (314) 361-4242 for a free case evaluation.